Rick is a lifelong resident and native of the Grand Rapids area. After high school, Rick joined the United States Marine Corps where he served in the infantry and took part in several combat deployments. While serving in the Marines, he attended Grand Valley State University. 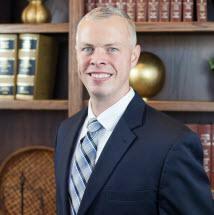 Rick graduated from MSU College of Law in 2012 and then served as an assistant prosecutor in Kalkaska County where he gained experience in conducting trials and handling a variety of criminal matters.